I LOVE to be creative. I love to draw, paint, craft, and doodle. Why, then, do I struggle to do something I love on a regular basis? The answer is LIFE. Stuff happens. We get caught up in the day-to-day hustle of work, family, and other responsibilities. Especially after I became a mother, I have found it hard to make TIME to do things for myself. I spend my whole day going, going, going, and by the end, I want nothing more than SLEEP. One fun way to get started is to participate in a challenge with a particular theme. This can be daily or weekly, just as long as it's in regular intervals. Post these on social media if you'd like. If you're super busy like me, keep it simple and short. Maybe just a few minutes each day. Make it easy on yourself, and you'll have a better chance of success. That being said, don't be hard on yourself if you fall off the wagon. Believe me—it happens to me ALL the time. Plan ahead. Write down a list of the days/weeks and what you will be doing each day so you're not scrambling for ideas or dealing with artist's block that day. Set a specific time for working on your challenge. Don't overwhelm yourself–keep it simple! You don't need to create a masterpiece each time. And although a lot of these might sound like lots of FUN, stick to one or two at a time. Reach out to others who are participating, or enlist others to join you! "Like" their content on social media and leave comments. Being engaged is fun and gives you a sense that you are part of a community of artists, which you are! Think about your personal goals and use the challenges to your advantage. Ask yourself, what skills do I want to learn or improve? What area do I wish I were more successful at, either personally or professionally. Then find or create a challenge to help you towards that goal. I've compiled a list of some ideas to get you going. I've divided them into four categories I particularly love—painting and drawing, lettering, surface pattern, and photography. Most are just fun ideas of my own, but I've also included a few popular challenges that have already been established and have huge communities on social media. There are also some wildcard ideas thrown in at the end, and there are myriad other challenges across the web not listed here. If you find one that sounds fun, do it! Whatever your goal, whether it's professional development or just for your own improvement, these challenges can definitely help you on your path as an artist and maker. 1. Inktober - daily each October - This challenge was created by illustrator Jake Parker. The idea is simply to create a drawing in ink every day and share! 2. Paint Everyday Like You Mean It by Shannon Gillman Orr - In this class on Skillshare, Shannon introduces her students to painting with gouache and watercolors, and provides direction to get you painting every day, starting with just a couple minutes and working up to fifteen minutes a day. 3. Zentangle and other abstract doodling. Zentangle is a popular method of filling a small square piece of paper with random, abstract ink doodle patterns. You can find instructions on different designs in various books, or a simple Internet search. 4. Daily comic - Draw something that happened to you that day in the form of a simple doodle, basically creating a comic strip of your life. In addition, Hourly Comic Day is held every February 1st and encourages artists to draw a comic frame for every hour they are awake. 5. Character sketches - Learn to create rich, unique characters by sketching a quick portrait every day. This can be faces of people, animals, or mythical creatures. They could even be existing characters from your favorite story or show reimagined in your own style. 6. Story sketches - Take your favorite book and sketch your favorite moments, with the option of reading as you go. 7. On the go? Keep a travel sketchbook to record your trip. 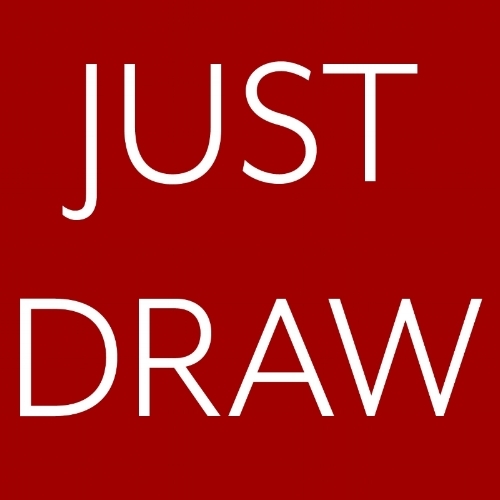 Create quick doodles in pen and pencil, or paint watercolor scenes. 8. Mural - Hang a large piece of paper on the wall and add to it every day until it is full. It can have a theme or just be random. 9. Studies - Pick a favorite piece from an illustrator you admire and copy it (for your own personal use ONLY of course). This will give you a better idea of how other artists think, as far as how they compose their pieces, use color, and stylize different objects and characters. It might give you some insight into a technique you could implement in your own work. 10. Office supplies - Stuck at a desk job all day? Use your post-its, index cards, highlighters, and multi-colored pens to create works of art to decorate your cubicle. 11. Spoonflower challenges - weekly - Spoonflower is a popular site to create your own fabric, wallpaper, and gift wrap designs, and more—so obviously it is big with surface designers. The site gives weekly challenges for designers to participate in. You can find their current themes HERE. 12. 100 Days of Pattern - daily - Created by Make It in Design (another popular surface pattern community), this is exactly as it sounds—create a pattern every day for 100 days. They provide weekly prompts as well. 13. 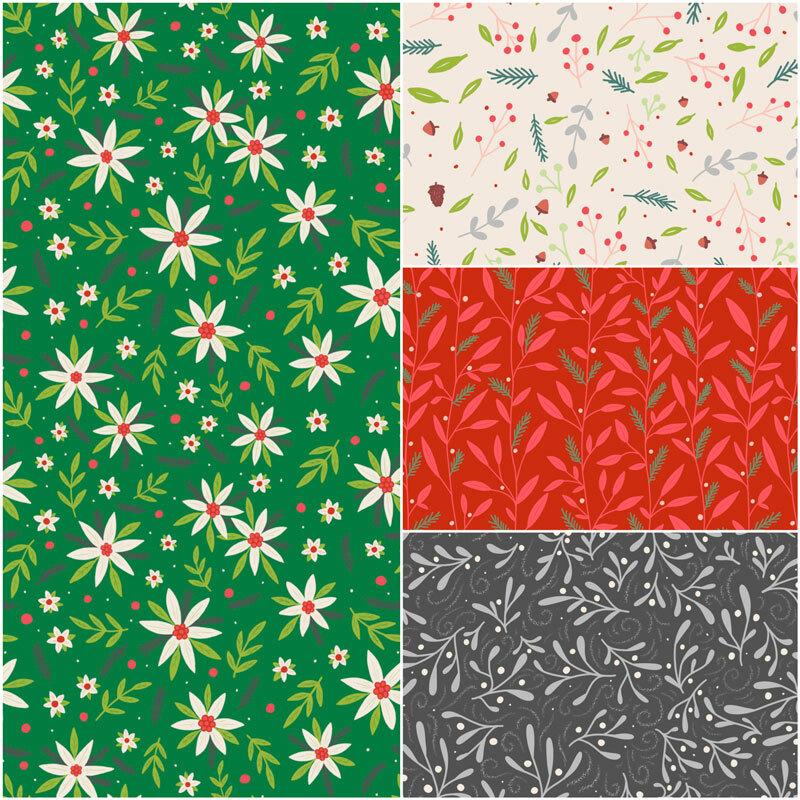 Holiday patterns - Get excited for the holidays with some daily seasonal sketches. It doesn't have to be just for Christmas—Halloween, Easter, Valentine's... you can find something to celebrate year-round. Imagine what you would like to see on gift wrap, party supplies, and other decor. 14. Florals - If you're familiar at all with my work, you'll know these are my favorite. They are a huge player in the surface pattern world. Experiment with different types of foliage and blooms, artistic styles, mediums, and colors to up your floral game. 15. Pattern scrapbook - Keep an eye out for patterns you come across in your everyday life. Take photos and save scraps as you go. Use these to create a digital or physical catalog of your findings that you can refer to for inspiration. 16. Found objects - Create patterns with physical objects—flowers, berries, buttons, paper cutouts, whatever. Arrange them artfully on a flat surface and photograph. 17. Get abstract - Paint or doodle lines and shapes to create all-over patterns. 18. Geometric shapes - This one would be good if you like working with vectors. Create repeats with simple geometric shapes—circles, lines, rectangles, stars, etc. Explore compositions and new ways for the shapes to interact. 19. Planner patterns - Find a planner or calendar with large blank squares for each day and fill each square with pattern using your preferred medium. 20. Repeat pattern - Sketch a pattern idea, and then draw it again each day, but change something about it. Give it more detail. Make it more abstract. Use a different color palette. Watch it evolve as you go and find out what changes worked and what didn't. 21. Homwork - weekly - Created by letterer Lauren Hom, you can sign up to receive her newsletter each Friday which provides a theme to letter and share on Instagram. These are usually pretty fun and quirky. 22. 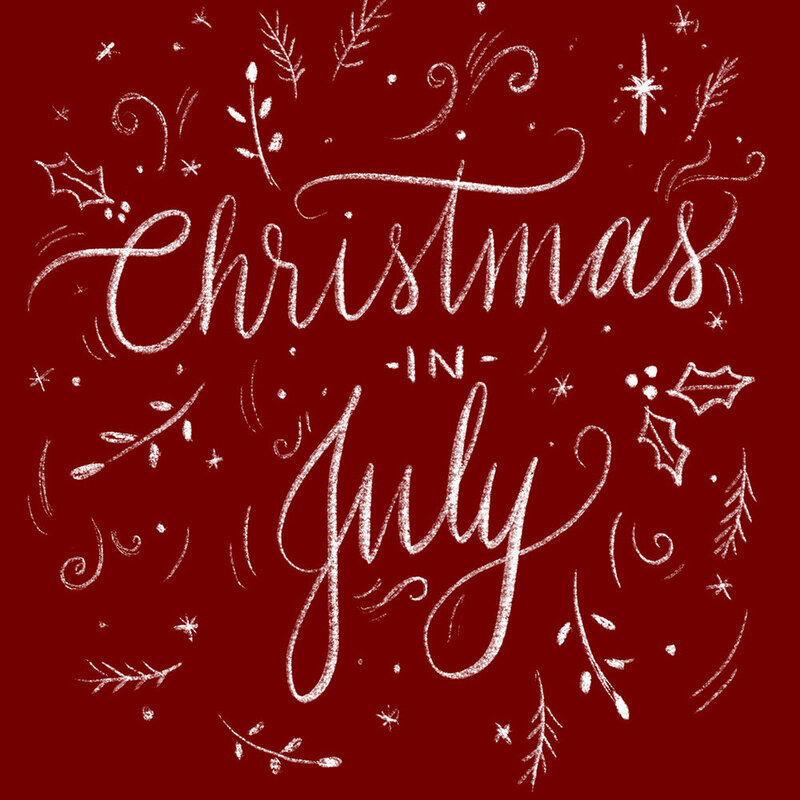 Goodtype Tuesday - weekly - Another popular weekly lettering challenge. As the name suggests, artists can post their work every Tuesday for the chance to be highlighted on Goodtype's feed. You can follow them on Instagram and/or sign up for their newsletter to receive the week's theme. 23. Letter lines from your favorite songs, movies, TV shows, or books. 24. Word a Day - Simply letter a word every day. Pick a theme to unify your series. 25. Copy a font or logo for your personal study. Learn from how different designers have structured their letters and created their word compositions. 27. Scripture study - Letter verses in your sketchbook that are inspirational to you, or notes from a church service. 28. Chalkboard menu - Get a chalkboard to display in your kitchen and letter the meal of the day, or your weekly meal plan. 30. Go through all the letters (and numbers and symbols if you'd like) and create a cohesive alphabet, adding one character each day. 31. 1 Second Everyday - daily - This is a fun mobile app where you take small snippets from each day, and the app will combine them into one video. I've used this to capture everyday moments with my kids. 32. Instagram Weekly Hashtag project - weekly - Instagram provides a theme each week and phone photographers snap and share their own interpretations. 33. Portraits. Take a photo a day of your kids, family, pets, friends, etc. 34. Photograph a plant or garden in the same spot each day to create a timelapse of its growth. 35. Create some unique Instagram-worthy flatlays to show off your workspace and creative process. 36. Work on your food photography and snap a pic of something you cooked and/or ate that day. 37. Selfies - Take a self portrait every day and experiment with lighting and composition (and show off your fabulous face). 38. Stay-cation - Take pictures of your hometown and neighborhood as if you were a tourist there as you're out running errands or taking a stroll. What might be interesting to an outsider that you might not pay attention to yourself as a local? 39. Nature walk - Get outside and take a picture each day of a piece of nature—a tree, flower, the sky, etc. 40. Play with lighting and shoot a series of black and white pictures of a subject matter of your choice. 41. Using a cookbook or food blog you love, go through the recipes one by one, like in the movie Julie & Julia. 42. Sew quilt blocks or crochet granny squares with scraps till you have enough for a blanket. 44. Fan Art Friday - Just for fun, create a piece of art each week based on your favorite things from pop culture. This can be a full illustration, a handlettered quote, or just a little doodle. 45. Vector icons - Learning Illustrator or another vector program? Create some quick icons using simple geometric shapes. Challenge yourself to learn a new feature from the program and incorporate it in your designs. Choose a theme (flowers, food, animals, etc. ), or do something random every day. 46. Daily Palette - Create a library of color palettes derived from photos, nature, or your imagination for use in later projects. 47. List making/journaling - I think all types artists can benefit from writing. Keep a record of your thoughts and brainstorm ideas for future projects. Find a list of prompts to follow if you want. 48. Color pages in a coloring book or tablet app. 49. Pinterest - Yes, this can be a creative exercise! Seek out art, food, and crafts that inspire you and pin away. I think it's a great idea to keep in touch with the things that excite you as you develop your personal style. January: Doodle a snowflake design each day. April: Hand-letter your favorite cheesy puns for April Fool's. May: Experiment with flower pressing. June: Paint rock creatures for your garden. July: Make pie art with decorative crusts. August: Come up with 31 ways to draw the sun. September: Create some fun back-to-school bento box lunches for your kids. October: Paint or draw on mini pumpkins or autumn leaves. November: Hand-letter and/or illustrate one thing you're grateful for each day in your sketchbook. December: Paint or draw on Christmas ornaments. P.S. Don't forget, you can follow along with my progress on my monthly projects (#sturkartchallenge2018) and other challenges I participate in via my Instagram (@nicolejonessturk).